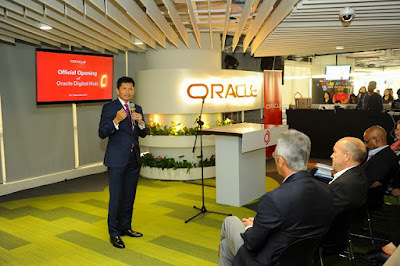 Small and medium enterprises (SMEs) in Malaysia and 21 other countries in Asia Pacific will get access and support to the cloud solutions and resources they need to power digital transformation with the opening of Oracle’s first Digital Hub in Southeast Asia. The new facility in Kuala Lumpur highlights Oracle’s commitment to better serving the SME market in the new cloud economy and to working with them in a way that matches their needs and how their businesses operate. Oracle’s new Digital Hub in Malaysia is set to help SMEs leverage Oracle Cloud solutions to streamline operations, boost innovation and build a platform for growth. The Digital hub houses a newly hired digital team focused on helping midsize organisations transition to the cloud quickly and easily. It complements Oracle’s broader Asia Pacific digital sales and support functions based in KL, which service the local market as well as 21 countries across the region. Exuding the energy of a start-up, its dynamic and diverse staff, is passionate in embracing the digital economy. The latest collaboration tools, techniques and technologies are used to transform the buying experience for the customers. Customers that want to buy entirely online can utilise the click-to-buy Oracle Accelerated Buying Experience. In addition to the simplified buying experience, Oracle’s Digital Hub offers a complete suite of cloud applications, platform, and infrastructure services as both standalone services and as bundles. The range of choices empowers small businesses to select solutions that directly address their goals or issues. Ir. Siva Ramanathan, Chief Strategy Officer of Malaysia Digital Economy Corporation (MDEC) said: At MDEC, we believe that Malaysia’s digital future has the potential to unlock significant economic, environmental, and social value within the nation. We applaud Oracle’s efforts in reaching out to our SMEs with access to the latest cloud technologies that are vital to their growth, and help them transform digitally. What Oracle is doing today contributes to our own national initiative, that aims to encourage digital adoption and future proof our SMEs and economy. We commend Oracle’s strong show of commitment in serving the Malaysian economy.